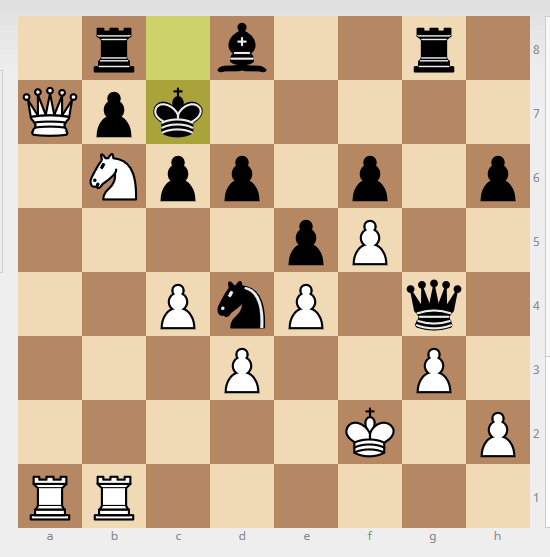 Nowadays lichess is one of the most widely used and best loved chess sites in the world. Remarkably it was started a few years back as a hobby project by one young French developer, Thibault Duplessis. To this day it’s remained a totally free service, and is an open source project. Initially Thibaut simply wanted to try out certain then new web technologies for fun, and decided to build an online chess game because he liked chess himself and thought it would be relatively simple to build. He was not looking to get any users at all, or to build a large site. As the site grew in popularity, he continued to work on it as a hobby project, and paid all the running costs for the servers himself. He argued that as the site was his hobby, and he had a well-paid day job to pay for such hobbies among other things, there was no need for anyone else to contribute financially. Being an open source project, people did of course join up to contribute in other ways, from programming, to translating the site into a large number of languages, to moderating the forums. Eventually the site became so popular and the feature set so rich that the amount of work needed and the running costs for the servers were beyond what could be managed as a side project. At this point the community stepped in with donor funding, firstly for the servers, and later to pay Thibault a reasonable salary to enable him to work on the site full time. Last I knew, he was backpacking the world while continuing to work on lichess, funded by a modest salary paid from donations. I’m not doing office hours; instead I’m traveling around the world, working from everywhere there is an Internet connection. Some days I will only check in to see if everything is going well, and if I’m not needed to fix an urgent bug, I’ll enjoy a day of hicking, diving, or traveling by bus to a new town. More often, I’ll wake up early in some cheap hostel, check in with the awesome lichess team on slack, empty the lichess email box (about 50 mails a day, but I get help), and get to work. Fixing the bugs I wrote yesterday, then writing new bugs (a.k.a. features) for tomorrow. Titivating the servers. Reviewing and merging code from contributors. Reading reports and new ideas from the forum. Asking the moderation team and mobile app team how I can help. Taking breaks where I’ll play a few correspondence moves, or a couple blitz games, or check out reddit. Then back to code, and eventually, before I go to sleep, when lichess is the most quiet, I deploy the new fixes and bugs I wrote. On a good day I can put in about 15h of work. Sometimes 10h, sometimes 5h. In any case I’m on duty 24h/24, 7 days a week; the team has my phone number and will call when something breaks. TL;DR lichess takes as much work as I can or want to put in. What makes a game site a success? How to make a community work? A big thank you to Thibault and the lichess team for making this wonderful site! The Newbie Blogger Initiative (NBI) for 2016 is fast approaching. If you haven’t heard of it before, it’s an event run by experienced game bloggers to encourage other people who want to get started blogging themselves, and also to help those who have already started in the last year and who could benefit from some advice or exposure. I started this blog back in October 2013 as result of the NBI, and you can read my thoughts on that experience in Reflections on the NBI. The next year I wrote an article that addressed some of the worries people often have when they’re thinking of starting a blog, To Blog or not to Blog? Then last year, I wrote an article on deciding how broad or narrow to make the topic of your blog, Blogging: To niche or not to niche?. I guess I’m very slowly building up a “Lessons Learned” series on blogging, based in part on my own experiences, and also drawing on what I’ve observed happen with the rest of the community. This year I want to look into the topic “Where to Blog?” I think it’s good to get into this early, so that people who have yet to actually start their blogs for NBI get some input while they’re still mulling over the options. WordPress.com powers this very blog, Thinking Play, and many others such as The Ancient Gaming Noob and Gaming Conversations. It’s completely free-to-use, though you can pay for extras like doing advanced customization of the look of your blog, or getting rid of the ads that sometimes appear. I personally don’t pay a penny, so you can see that the free service provides pretty much all that you need for a fully-featured blog like this one. Blogger powers blogs like Gamer By Design and I Have Touched the Sky. It’s also completely free, and as far as I know there are no extras that you could pay for even if you wanted to. Both of these will allow you to quickly and easily create a very nice blog. The startup process will be simple and probably take less than five minutes. You can choose a “theme” to get a look and layout that you like, and perhaps tweak it in various ways to make it your own. Then you’ll be all set up to start writing posts, easily including pictures, YouTube videos etc if you want. 2018 Update: I now say use WP.com, don’t use Blogger. See below for more info. The free options are very good, but there are two paid options worth mentioning. “Self-hosted WordPress“ – is like WordPress.com, but instead of using the service provided by the company, you create your own independent website, and have complete control over how you customize it, and what you do with it. However this means more work, takes more tech savvy, and entails paying ongoing costs, usually at least a few dollars a month. An example of a self-hosted WordPress blog is Herding Cats. Squarespace is supposed to be a hassle-free paid option, in which you pay a monthly fee, and don’t have to worry about technicalities. The current version of Contains Moderate Peril uses Squarespace, though in previous incarnations the site was a self-hosted WordPress one. So… does it matter which? As you can see, all of these free and paid options are perfectly viable, and you will be able to express yourself to your heart’s content whichever you choose. For many people, just picking the option you like the look of will work out perfectly well. However, there are various issues that might become important in some circumstances, and that are at least worth knowing about in advance. Both WordPress and Blogger are capable, and most likely either will meet your needs well enough. There are a few possible gotchas though, depending on what exactly you’re planning on doing. WordPress.com’s social and community features seem to be far better than Blogger. It’s very easy for a WordPress.com user to keep track of all the conversations they’re having in comments on blogs there for example. It’s also easy to “Like” posts, and follow blogs with the built in WordPress.com Reader. This extends to many self-hosted WordPress blogs as well, as they can choose to use plugins that hook them into the same ecosystem. You’re allowed to put advertising into Blogger sites. In fact Google makes it easy to put Google Adsense ads in there, as they would get a slice of the money. However in practice putting ads into hobby blogs is largely pointless, and the sums of money made are usually tiny. WordPress is focused on WordPress, while Blogger is just a small part of Google. Some worry that means Blogger doesn’t get updates and new features too often, and even fear that someday Google might decide it’s not important to the company, and pull the plug entirely, as they did with Google Reader and numerous other services. Bhagpuss has put in a lot of effort to explore some major issues with Blogger that I happened to mention in passing. Given his discoveries, I now strongly recommend that new bloggers go for WordPress.com rather than Blogger. Using Blogger is very likely going to make it much harder for many people to comment on your posts, and your site may get somewhat mangled on mobile devices. All of this can be seen as a by-product of the point mentioned above that Blogger is not important to Google, and there is minimal effort to fix any problems or keep up with the changing tech landscape. Let’s focus on self-hosted WordPress versus the free WordPress.com as a way to understand why anyone would consider paying, when the free services seem to be excellent. WordPress.com comes with a large selection of themes for the look of your blog, and “widgets” and “plug-ins” that add extra features. For example in my sidebar you can see a bit of my Twitter feed, provided by a so-called widget. For many people this selection is plenty, but out in the world at large there are vastly more themes, widgets and plugins available for use in a self-hosted WordPress, and which have not been approved and made available on WordPress.com. On a self-hosted WordPress, you can change the very workings of WordPress itself. This is exactly what many of the plugins do, in some way or another. If this sounds powerful it is… If it sounds complicated and potentially dangerous, yes it can be that as well! You have total ownership and control over your site. For example WordPress.com doesn’t allow ordinary users to put advertising on their blog, and it has fairly strict rules about affiliate links to Amazon and such like. Similarly on your own site, you can say what you want, without any consideration of anyone else’s rules about what is acceptable content. There are many articles out there that extol the virtues of going for a self-hosted blog. They claim that you can thereby make a properly professional site, perfectly in tune with your own needs, and with so little hassle and expense that it’s hardly worth thinking about the free options at all. They’re the blog equivalent of gamers who speak dismissively about noobs, casual players and F2P games. So are free platforms just for noobs and losers? Well there are some big advantages to free that may not be obvious at first glance. The cost of hosting a blog is proportional to your traffic. It might be a few bucks a month to start with, but if you happen to get a lot of readers, it can go up considerably. Also bear in mind that you have no control whatsoever over how many people decide to read your blog, so ultimately you have no control over your costs. The cost goes on as long as your blog continues to exist. Many wonderful blogs and podcasts have been taken offline because the owners didn’t want to carry on paying the recurring costs, especially as they may have moved onto other hobbies themselves, perhaps because of life changes. It’s rather sad if something that you may have worked on for years vanishes from the world like that. It’s also a little antisocial, as others contribute to your blog in comments, link to your posts from their own blogs, engage in debate with you, and so on. If you’re blogging as a hobby, “professionalism” is overrated. Do we regard Wilhelm with less respect than Jessica because one is on a free platform, and the other self-hosts? There is a middle way, which may be appropriate for some. For example like Braxwolf you could use WordPress.com, but pay a little extra for your own domain name. Or like Wilhelm, pay to stop advertising appearing on your blog. With such things, it is possible to enhance the “professional” look of a blog, while keeping costs low, and ensuring that the blog could stay online with no cost at all, should that become necessary. 2018 Update: This “middle way” has become a lot more expensive. If you really want such features and also really want to keep costs down, a cheap self-hosting plan might serve you better than using WordPress.com. It is possible to move from a free blog to a self-hosted one later. This becomes even easier if you were using your own domain name from the outset. With a self-hosted blog, you will likely need to worry about keeping things up to date, as there are frequent changes to WordPress itself, and to the themes and plugins which you’re using. While this is not too hard, you probably already have far too many computer things you need to keep updating, and extra work is not something you need. The unusual plugins that are not available on WordPress.com, and which might be your reason for self-hosting in the first place are also the most liable to get broken by changes to WordPress. 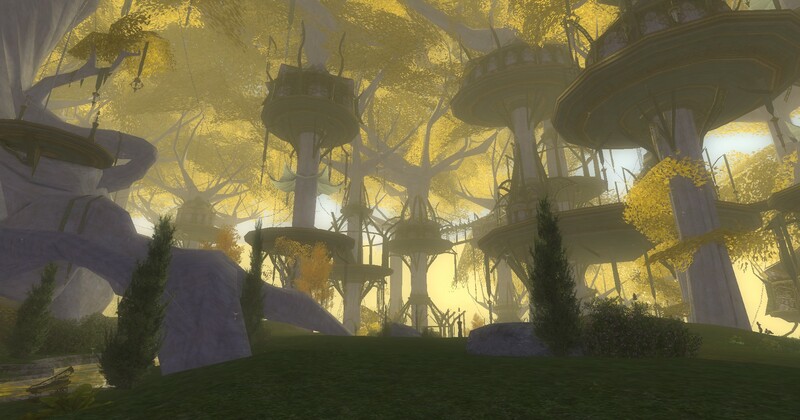 The city in the trees, Caras Galadhon in Lothlorien. This is my entry for the Landscape category of the NBI Screenshot Safari. One of the nice things about this event is that it’s given me an excuse to look over all my gorgeous LOTRO screenshots. 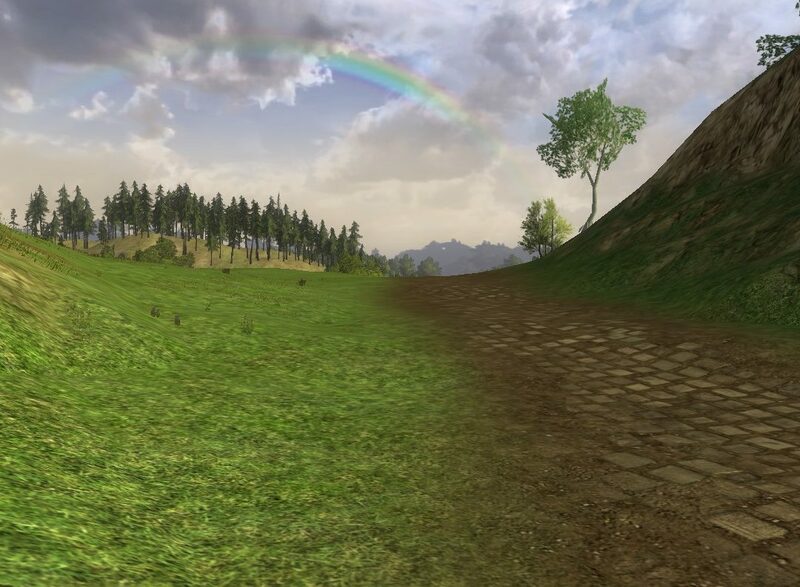 It’s hard to pick just one view of Lothlorien, never mind pick just one landscape from the entire game! I like this view because it both gives a sense of the essence of the place – otherwordly beauty combined with simplicity and naturalness – and also helps to understand how it’s physically laid out. It’s one thing to read about mallorn trees, flets, and a city in the trees, and another to visualize what Tolkien intended. 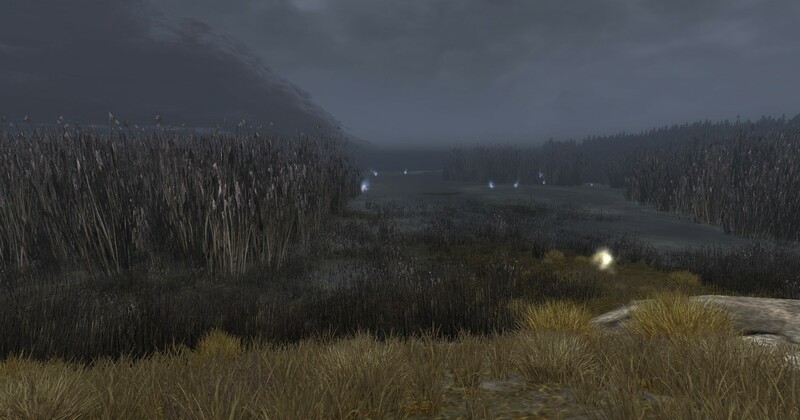 LOTRO does a remarkable job of bringing it to life. This post is part of the Newbie Blogger Initiative 2015, a month of events to help new bloggers get off to a good start. Read more about the Screenshot Safari event here. You’ll find links to other screenshot posts in the comments at the bottom of that post, and via the #NBI2015Safari hashtag on Twitter. It may be the cursed power of Sauron. The closer I get to his realm the wearier I feel and the more it seems my will to fight on is sapped. The loss of many of our brave friends and cheery kinfolk weighs heavily also. But I yet hope to press forward in this quest, little by little perhaps, resting as I must to gather my strength. I hear rumors that the scattered forces of the Free Peoples will soon be rallied into several great armies. If this be true it may prove a great boon, and will raise my spirits much. With such combined forces we may hope to battle on and perhaps even live to see the downfall of Sauron. Or if that proves finally to be beyond our resources, at least to make an end worthy of song. On reflection I think the reasons why I’m not playing LOTRO so much these days are more varied and complicated than what is implied by that comment, though what I said there is an important part of the overall picture too. I’m not playing MMOs, I’m doing other stuff! One thing to start with is that unlike some people it’s not that I’ve switched to playing some other MMO. I’m spending a lot less time playing MMOs overall, and since LOTRO was my main game, it’s most noticeable there. Reading books and watching boxsets has been taking up a lot of my leisure time since Christmas. I’ve also played a fair bit of chess, and I’ve dabbled in a MOOC or two as well. I hadn’t seen any of The Walking Dead or Downton Abbey before Christmas, and now I’m totally caught up with both series. That’s probably well over a hundred hours of spare time accounted for right there! And there were a few other shows where I caught up a season, or at least watched a few episodes. Streaming video is a newish thing for me, and has that extra excitement that comes with finding a whole new toy box to explore. It was about a year ago I got a Chromecast and that made the whole streaming thing much more attractive. Over time I’ve discovered more shows and more streaming services. Hobbies and interests tend to have a lifecycle with me. I guess it’s not unlike the lifecycle of a relationship. There might be an initial checking-it-out phase, followed by a falling-madly-in-love phase, which leads to wanting to spend as much time as possible with the totally amazing beloved. And that can last for quite some time, but in due course it goes to a more mellow phase where I retain much love and affection, yet don’t want to devote my whole existence to that one thing. 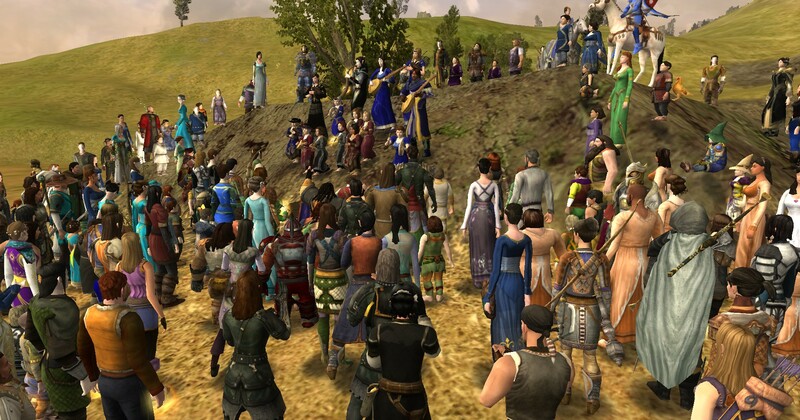 MMOs – and LOTRO specifically – were that new love for me three and a bit years ago. I still like them now, but not in quite the same way as in the first year or two, where the game was the activity of choice for many hours on most days. Meanwhile the new hotness is The Walking Dead, Agents of SHIELD and suchlike. But diving into great boxsets will have its lifecycle too I’m sure, and maybe then I’ll return to more intensive MMOing. All of the above are reasons why I probably would have been playing less now regardless of whatever had happened with the game itself. However it’s not all just about me and my hobby lifecycle, a good deal of the change in my playing habits has to do with LOTRO itself. People are very important of course, and the banter and friendship was a big part of what kept me coming back regularly. But friends and kinnies have their own hobby lifecycles, or they have changes in their real world circumstances etc. So over time there are less and less of the familiar faces around, and they’re around less often. What’s more some of the people that still do play regularly have done their own DIY server merger by re-rolling onto more populated servers. Now I’d join them, but the very fact that I’m not playing so much now makes it difficult to re-roll and level-up all over again. If LOTRO had something like the technology in other MMOs where I could hop to another server easily, it would be a big help to me. The proliferation of changes to game mechanics also don’t help. I still haven’t properly figured out all the skill changes that came in with Helm’s Deep, and I’m largely clueless about essences. Add in lots of small changes throughout the game, like changes to housing storage, making various crafting materials obsolete etc, and it’s pretty hard to really get back in the game and feel totally at home without devoting masses of time to working out the differences. After Helm’s Deep I rapidly went from feeling proficient with quite a few classes to not knowing what the heck half the skills do exactly on most of them. Then there’s the grindiness that can be excessive. I’m not sure that LOTRO is really that much worse than other MMOs in this regard, but I guess the more familiar you become with an MMO, the more the repetitiveness of combat may weigh on you. The worst case is when you have to kill many mobs, the kills are time consuming, and yet there is no stimulating challenge in the fights. Too many quests seem to land me in this scenario. There are things Turbine could do to get someone like me back and more active in the game. Easy and free server transfer is one thing I already mentioned. Another would be ways to insta-level my alts, or otherwise bypass unwelcome grind. However to the extent that LOTRO has anything like that, it’s all by spending rather big bucks in the cash shop. $50 for the Gift of the Valar to get half-way to the level cap for instance! Or I could get rest XP by subscribing, and buy various XP and deed boosts to cut the grind some. The problem is that those things might seem worthwhile to someone who was already heavily playing the game, but at a point where I’m not playing much, spending that kind of money seems ridiculous to me. It’s a Catch-22 situation. You have to spend money to maybe make the game as fun as it used to be again, but if you’re not having that fun already, why would you spend lots more money on the game? Let’s not overdo the gloom here! 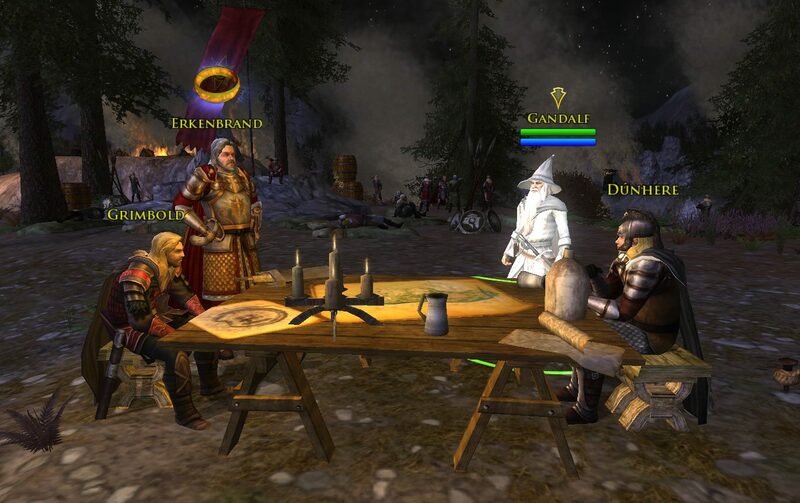 I still have good friends who play plenty of LOTRO, and it wouldn’t be surprising if I got back into it with them sooner or later. I’ve had quite long breaks before, and gone back with relish afterwards. It seems that Turbine are working on plans for server mergers, and the option of a free server transfer could be a real blessing. There’s still plenty of good content that I’d enjoy doing, and if it were easier to get caught up and play with the people I’d like to hang out with, I’d be glad to do just that. I have plenty of love for Tolkien and LOTRO, and one way or another I’m likely to be around to see the end of all things, whenever and wherever that comes. Last week Massively shutdown. This weekend the reborn Massively Overpowered got fully funded on Kickstarter within 48 hours. Congratulations to all at MassivelyOP and the the wider MMO community that rallied round them! Now, however, we have a new experience. We have victory – a remarkable and definite victory. The bright gleam has caught the helmets of our soldiers, and warmed and cheered all our hearts. A Kickstarter for a blog is obviously not in the same category as The Battle of El Alamein. But in its smaller way it is a tremendously heartening and inspiring victory after a time of great adversity, yet as Churchill emphasized, only “perhaps the end of the beginning”. Live long and prosper Massively OP. May the force be with you, and the hair on your toes never fall out!